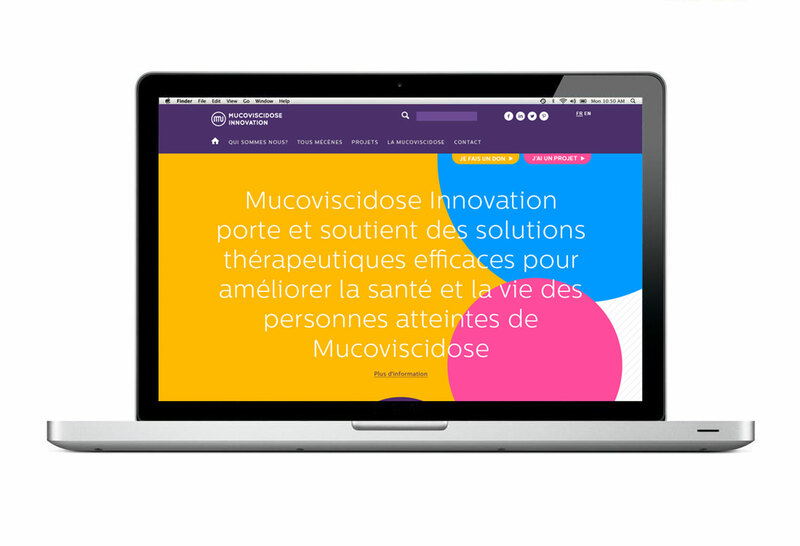 Mucoviscidose Innovation develops and supports effective therapeutic solutions to improve the health and lives of people with cystic fibrosis. Improve web traffic and therefore the number of donation and projects. The central element of the identity is the “MI” pictogramme. 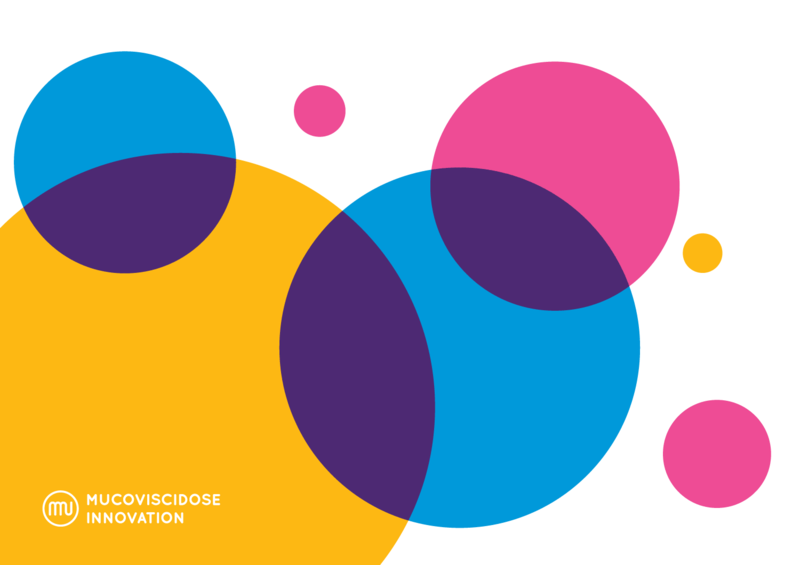 The idea behind the logo is to combine innovation, entrepreneurship and the human aspect, all in one simple form. 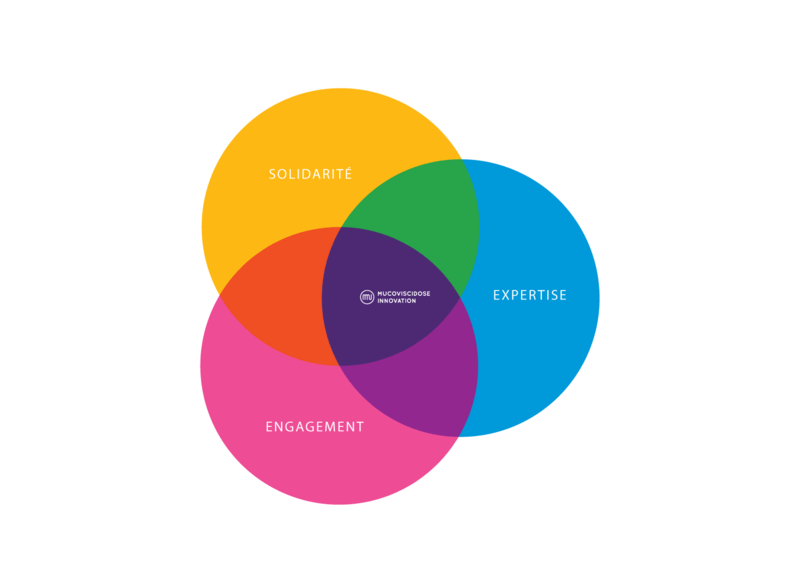 We wanted the global image to be professional but not too serious because we believe even the most serious subject can be approached using playful elements such as bright colored circles. The brand guideline also includes a logo with and without tagline, in french and english, pictogramms and stationery system. The website is adaptive.